Itching for Books: Follower Appreciation Giveaway! 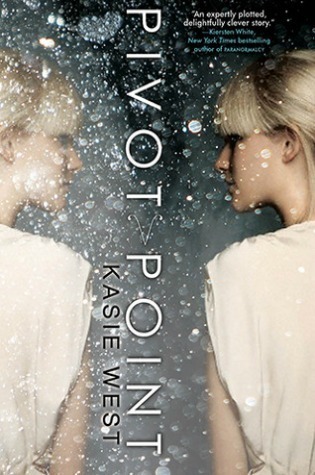 I haven't done a giveaway in a while on my blog that had nothing to do with a blog tour so, as a way to show my appreciation to my loyal supporters I'm giving away Kasie West's Pivot Point. Kinda excited for this book! This is such a good book. I really loved it. Great giveaway, I've been wanting to read this for awhile :) Thanks for the opportunity, and for stopping by my blog! All entered! I definitely want to read this one I have read some stellar reviews and I love the premise. Thanks for the giveaway have a great day, Shane! Thanks so much, Shane! I really want to read Pivot Point. I want to read this book so badly! Thanks for the opportunity! taboo matter but usually people don't speak about such topics. To the next! Kind regards!! You know, your followers appreciate you too. I'd love to win a copy of Pivot Point, thanks for the giveaway. I can't wait to read Pivot Point! Thanks for the giveaway! Thanks for the giveaway! Been wanting to get my hands on this book!!! Awesome giveaway! I've been eyeing this book for a while. Thanks for the chance to win it!